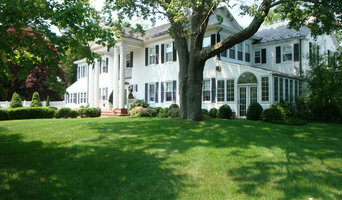 Steck's Nursery has been providing unparalleled quality in nursery stock to the Fairfield County, CT area since 1897. We stand behind our two year, 100% guarantee on labor & material we plant. Bolton Landscape Design & Masonry creates outdoor environments for homeowners that provide lasting beauty for years to come. We bring color and elegance through landscaping and build bespoke gathering places for making memories with family and friends. 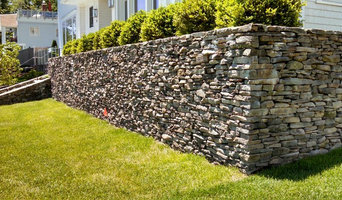 Bolton Landscape Design & Masonry is a full service design and build firm with 40 years of experience in Fairfield and Westchester Counties. All installations are expertly constructed by our team. 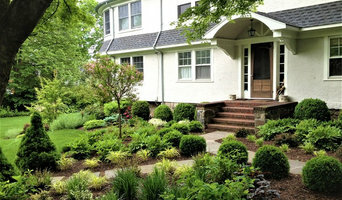 Contact us today for a free estimate for all of your landscape design needs. 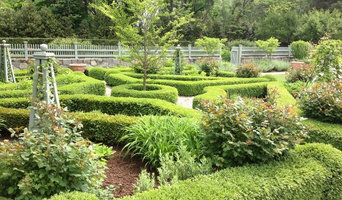 We look forward to dreaming up a one-of-a-kind landscape design for you. Patricia Dunn, CLD, AOLCP, is an award-winning landscape designer and owner of Sabrina Design in Greenwich, CT. Patricia served as the landscape designer for two home renovation projects featured in the April/May and May/June 2017 issues of New England Home magazine. Patricia has been working with homeowners in Fairfield and Westchester Counties for more than a decade. She is a landscape designer of choice for large suburban property renovations where she works closely with architects and interior designers. "My passion is realizing my clients' landscaping visions and dreams uniquely in harmony with their homes, lifestyles and nature." - Patricia Dunn Our work reflects the harmony of architectural character, landscape design and modern living. We focus on bringing your vision to life with visual appeal that includes appropriate plantings, structural materials and sustainability. Good design begins with information. By organizing the information and ideas provided by our clients, we can achieve brilliant solutions. Certified by The Landscape Institute, Arnold Arboretum of Harvard University and Boston Architectural College, Patricia Dunn’s also provides organic solutions and is an Accredited Organic Land Care Professional by the Northeast Organic Farming Association. A trusted partner with experience that spans a variety of projects of varying sizes, Patricia Dunn and Sabrina Design are ready to take on your project. Give us a call today to get started, we would love to hear from you! At Ultimate Services, our wealth of knowledge and commitment to customer service have made us an indispensable resource for some of New England's most discriminating individual and corporate clients. Having been in business for over 60 years, the quality of our work speaks for itself. We specialize in high-end landscaping and take great pride in each and every project no matter the size. From start to finish we provide a level of trust and commitment along with interactive communication that assures our clients that everything is perfect to the last detail. Before you embark on your next outdoor project know that Perennial Gardens' Landscape Construction division can provide you with a free consultation, project management and contruction services.